(Mark Prigg) It could be a temple like no other - and with a view that really is out of this world. 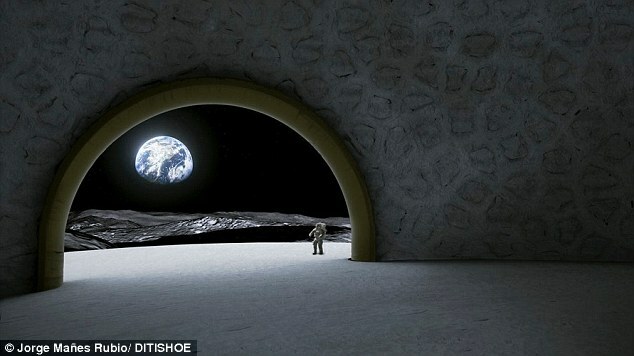 The European Space Agency has revealed plans for a lunar temple to be built alongside mankind's first outpost on the moon. The 50m high dome, close to a planned moonbase near to the moon's south pole, would give the first settlers 'a place of contemplation'. 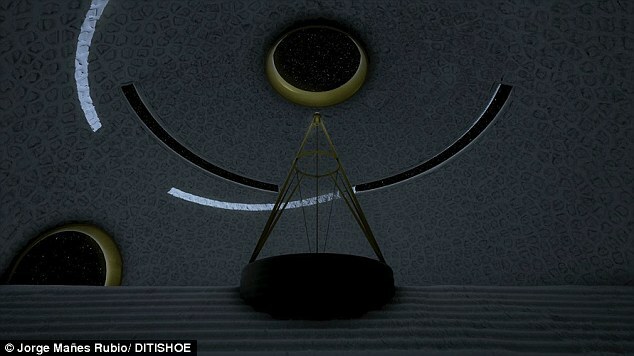 Artist Jorge Mañes Rubio, part of ESA's future-oriented Advanced Concepts Team (ACT), designed the temple to be built alongside ESA's planned moonbase. 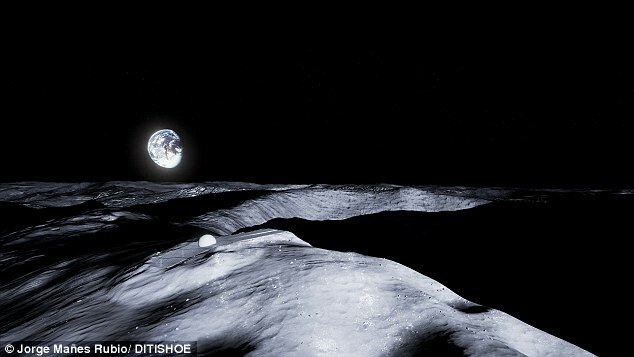 The European Space Agency says the 50m high dome, close to a planned moonbase near to the moon's south pole, would give the first settlers 'a place of contemplation'. 'I've been having all sorts of discussions with my ACT colleagues, including speculating on the likely needs of future lunar settlers,' said Jorge. 'What kind of social interactions will they share, what cultural activities and rituals will they have, and what sort of art and artefacts will they be producing? 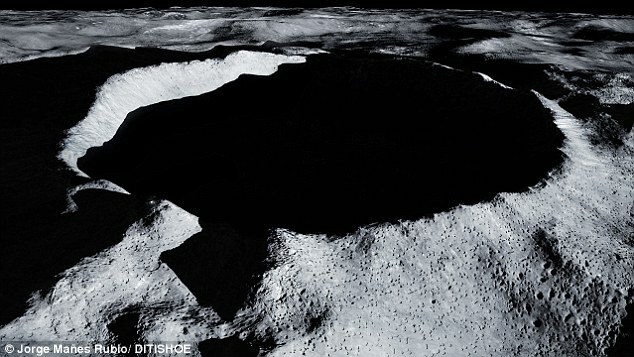 The lunar poles have previously been identified as promising locations for future settlement because craters kept shaded by the lowness of the Sun in the local sky are thought to serve as 'cold traps' to preserve water ice, potentially a vital source of water, air or rocket fuel. 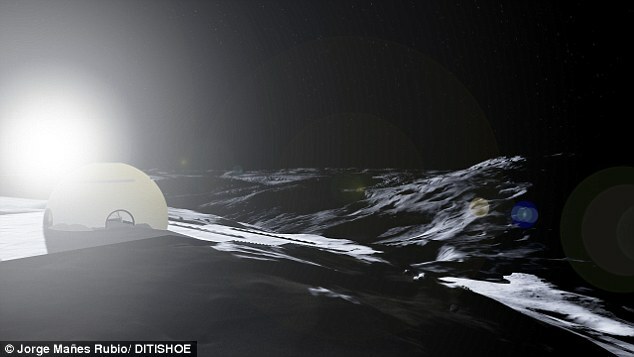 The 50 m-high domed structure would be built using 3D printing of lunar soil. 'The result might resemble 'abode' architecture, an ancient method of building that is still made use to this day,' adds Jorge. Jorge selected Shackleton over nearby Malapert Crater because Earth is perpetually visible from Malapert, while from Shackleton it will only be seen for two weeks at a time, inspiring more independent thinking. 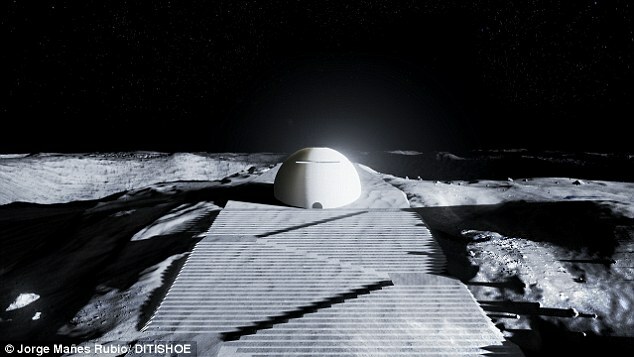 The 'Moon Temple' is intended as a symbol of unity for humankind, reflecting the pull that our natural satellite has always had on the human imagination, ESA says. 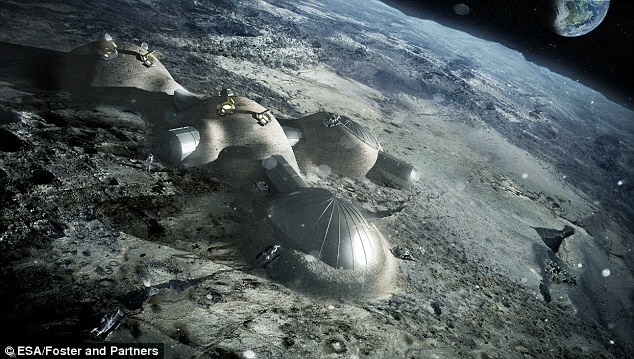 The European Space Agency's plans to build a village on the moon are part of a much wider scheme to explore the far-flung regions of our solar system. 'Lunar settlement represents a perfect chance for a fresh start, a place where there are no social conventions, no nations and no religion, somewhere where these concepts will need to be rethought from scratch. One opening in the dome will look Earthwards, while another at the top will peer out into deep space. 'Humans have brought flags to the Moon, but they've been bleached white by sunlight since then – almost as if the Moon is protecting itself from such terrestrial concepts. Related Buzz Aldrin: We Were ORDERED Away From the Moon [by Extraterrestrials], Interview Excerpts with Neil Armstrong & Lunar "Tower of Babel"